It was a memorable day for Wilson Peters, Cuilt Farmhouse, Monzie, Crieff, as he scooped the Overall Champion title at the Thainstone Christmas Classic held on Tuesday 27 November 2018. 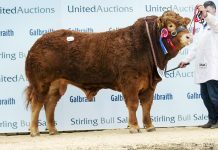 Judged by Hugh Black, Hugh Black & Sons, Lanark, and Murray Lauchlan, David Comrie & Son, Comrie, Perthshire, the open haltered beef cattle classes saw Cheeky Kiss, a 610kg Limousin take the red rosette for Wilson who was fresh from his win at LiveScot just a few days earlier. 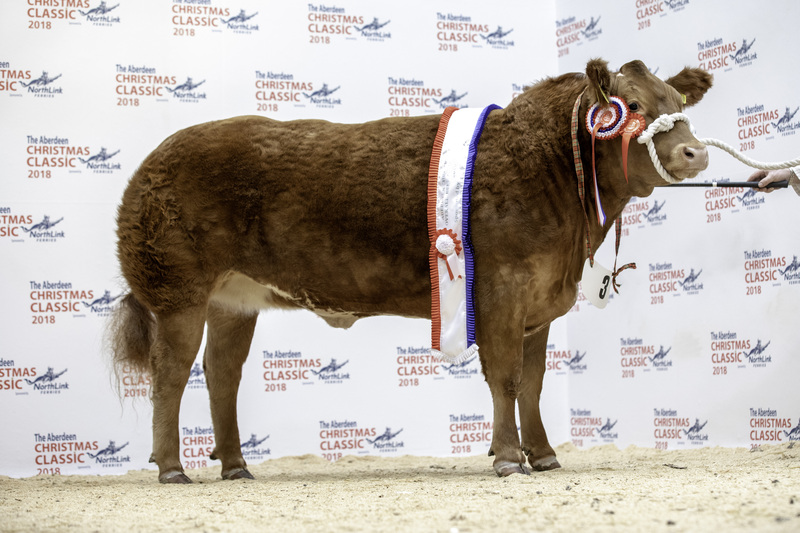 The smart heifer then went on to achieve the day’s top price of £4,600 in selling to both judges. 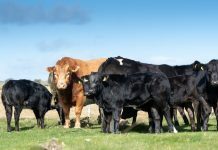 The Butchers’ cattle class Champion accolade was awarded to D Work and Son, Mains of Dumbreck, Udny, for their 575kg Limousin cross bullock named Harvey, which sold for £3,000 to Forbes Raeburn Butcher, Huntly. Another exhibited by Wilson Peters, the reserve butchers’ cattle champion was Cotton Tail, a 570kg Limousin cross heifer which went on to realise £2,300 from Mr A Bruce of Bruce the Broch, Fraserburgh. In the Young Farmers prime cattle section, judged by Guthrie Batchelor from Fleming Butchers, Arbroath, a 704kg Limousin cross heifer Little Mojito took Reserve spot. 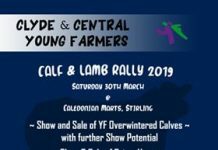 Presented by Jack Hendry, Keith Commercials, Heads of Auchdinderran, Keith she sold for £2,000 to G Dinnie, Bridgeton, Alford. 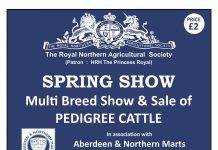 In the unhaltered beef cattle section judged by John MacIntosh, Aberdeen, the Reserve Championship went to Spitfire, a 554kg Limousin cross heifer, exhibited by Sheep Park Farms, Bridge of Marnoch. Under the hammer, Spitfire made £1,650, she was another to sell to Mr A Bruce of Bruce the Broch, Fraserburgh.